Mark Pauly is associate professor in the School of Computer and Communication Sciences at the École Polytechnique Fédérale de Lausanne. He is the director of the EPFL Computer Graphics and Geometry Laboratory, which focuses on efficient representations and algorithms for digital 3D models. He obtained his PhD in ETH Zurich in 2003, where he was awarded the ETH medal for outstanding dissertation. He moved to Stanford for a postdoc between 2003 and 2005, where he was also a visiting assistant professor. Between 2005 and 2009 he was an assistant professor in the Computer Science Department of ETH Zurich. He has done outstanding research on processing of point clouds with several highly-cited papers on sampling, modeling, and interactive design of point-based geometry. He has also published seminal papers in core geometry topics, including “Discovering structural regularity in 3D geometry”, “Partial and approximate symmetry detection for 3D geometry”, “PriMo: coupled prisms for intuitive surface modeling”, and “Meshless animation of fracturing solids”. 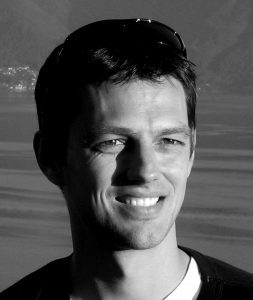 In recent years he has broadened his research interests to include computational design and fabrication, architectural geometry, and human performance capture. His 2011 SIGGRAPH paper on “Realtime performance-based facial animation” pioneerd face tracking solutions for consumer depth cameras. In 2012 he co-founded Faceshift AG, an EPFL spinoff company whose software has been used in several high-profile productions, such as Star Wars: The Force Awakens. His recent work “Robust articulated ICP for real-time hand tracking” received the SGP 2015 best paper award. He enjoys working at the interface of science and art, with a particular interest in the interaction of light and form. Early work on shadow art was followed by a series of papers on computational caustic design that introduced algorithms for shaping reflective or refractive surfaces to create stunning light images. In 2015, he conceived the art installation sol.id on the campus of EPFL and he continues to explore new artistic expressions of light. With the launch in 2016 of his new startup company Rayform, he also pursues commercial applications of this technology. Mark Pauly has been the general chair of the IEEE/Eurographics Symposium on Point-Based Graphics 2006 and the Symposium on Geometry Processing 2011. Among others, he was program co-chair of the Symposium on Advances in Architectural Geometry in 2010 and 2016, where he also serves on the steering committee. He is committed to openly sharing research results and has published several open-source libraries that are used by researchers and practitioners world-wide. Mark Pauly received the Eurographics Young Researcher Award in 2006 for his early seminal work on point cloud processing. He is an exceptional researcher with a high international reputation and a continuous track of pioneering papers published at Eurographics and SIGGRAPH. As director of the EPFL Computer Graphics and Geometry Laboratory he has attracted a significant number of top-level PhD students and postdocs. He is extremely active, producing mathematically solid and practically useful results which foster academic and industrial interest. Eurographics is extremely pleased to recognize Mark Pauly with the 2016 Outstanding Technical Contributions Award.